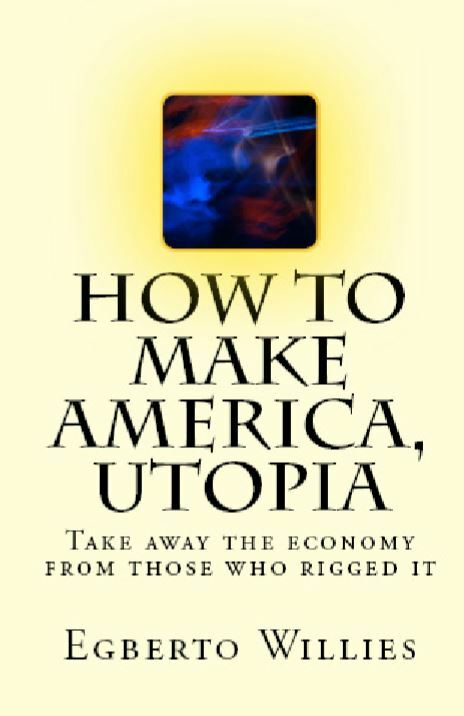 How to make America, Utopia explains the economy in a manner that is easily understood. More importantly, we will be truthful and discount the misinformation that has been told for generations. We will show how the false basis of our economy is responsible for the vast majority of Americans' inability to succeed independently or get the services they want from the government. It is clear that we have been indoctrinated into an economy that depends on a type of benign slavery seldom recognized by most. When we all understand what these forces are placing on us we will inherently create our Utopia, not in some dreamy sense but a reality of happiness we create.